Unprecedented levels of smog pollution in Iran’s capital have killed over 400 people and pose an extreme threat to human health. Over 9 million people call Tehran their home, and 7 other million live in the nearby metropolitan area – unfortunately, Tehran is also one of the most polluted cities in the world. Inhabitants have gotten used to severe environmental issues. Around this time every year, a thick curtain of toxic fog falls upon the city, but now it’s even worse than usual. 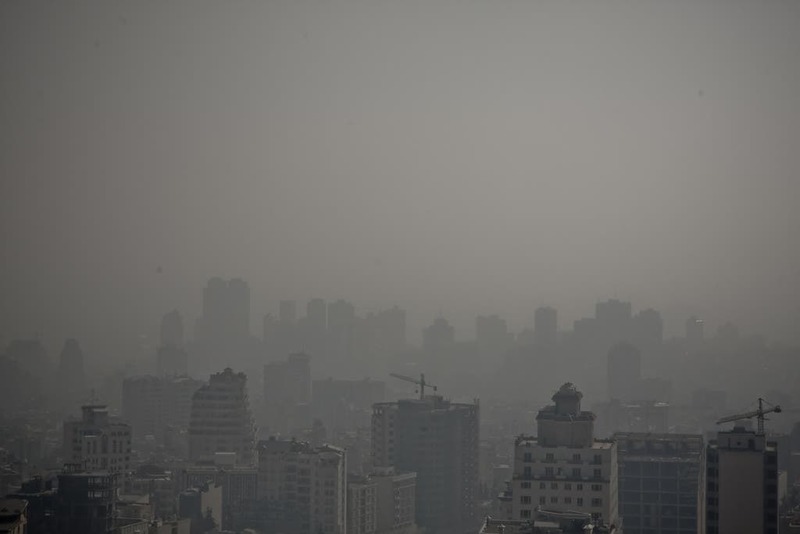 Habib Kashani, a member of Tehran’s municipal council, said on Tuesday that pollution in Tehran had killed 412 citizens in the past 23 days, and the tally continues. Schools have been closed and people have been advised to stay inside or wear masks when going outside. The concentration of ultra-fine particulate matters PM2.5 has reached 156, over the 150 level, which is already considered unhealthy. In some parts of the city, it was as high as 167, prompting authorities to apologize to tourists. However, no one seemed to apologize to the locals. ‘We hope our people’s hospitality wipes the grey image of Tehran’s beautiful attractions from their minds,’ the capital’s tourism boss Rajab Ali Khosroabadi told the ISNA news agency. PM2.5 is considered to be the best measure of the impact of air pollution on health. The World Health Organisation recently released a report in which it showed that Tehran isn’t the only city in the area suffering from this problem. The report highlighted the Iranian city of Zabol, on the eastern border with Afghanistan, as the world’s most polluted city. Tehran’s situation is also exacerbated by its geographical position and a phenomenon called temperature inversion. Usually, polluted air is warmer and disperses high above the ground, but in Tehran (like in other places around the Earth), a warm blanket is created above the pollution, keeping it all tucked inside the city. But for the most part, Tehran itself is to blame. Tehran mayor Mohammad Bagher Ghalibaf rode the metro to work Sunday in a bid to encourage people to use public transport. Some 80% of pollution comes from its cars, and another 20% is due to local industry. Local newspaper Ebtekar said that at least 1.25m obsolete cars were still in use in Tehran and 60% of the times, cars only carry one person. Another local publisher, the reformist daily Etemaad published a black column on its front page saying “We are all to blame.” It continued arguing that “you are not switching off your cars” and “they [officials] are only capable of closing schools”. The pollution is so severe that there are concrete plans to move the capital to another city, with the 2010 government stating that “for security and administrative reasons, the plan to move the capital from Tehran has been finalized.” However, no official plans have been presented and even if they are, that wouldn’t really address the problem.